I’d mentioned what I was intending to use it for, and she remembered. 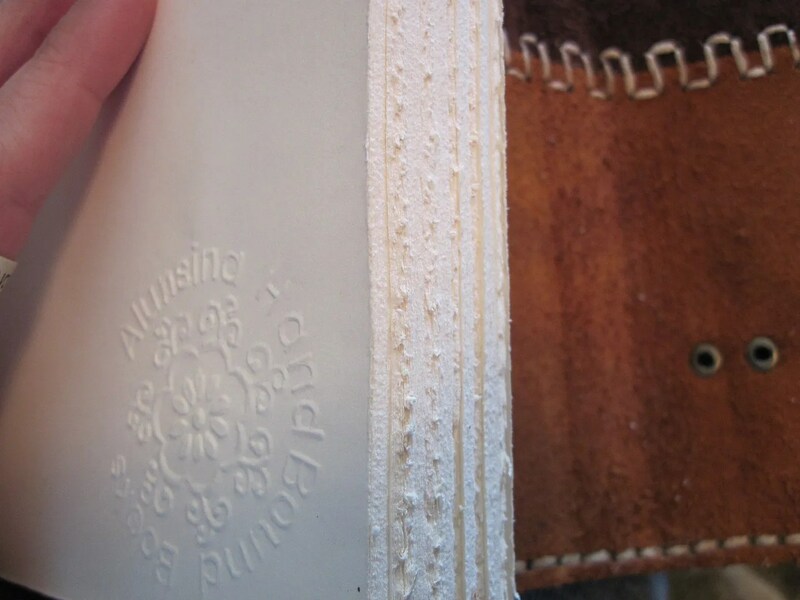 There was also another envelope with printed information on how the journal was made. 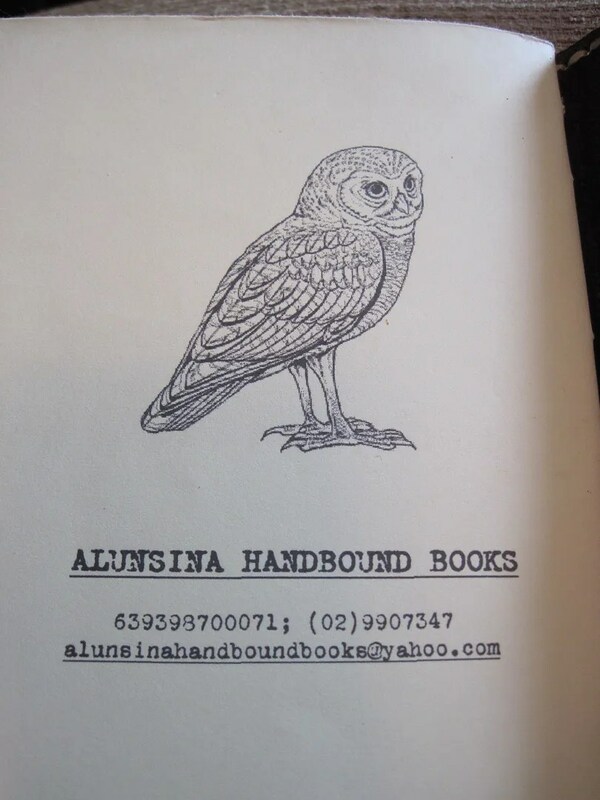 The last page has an owl. I love owls, so this is a lovely surprise! 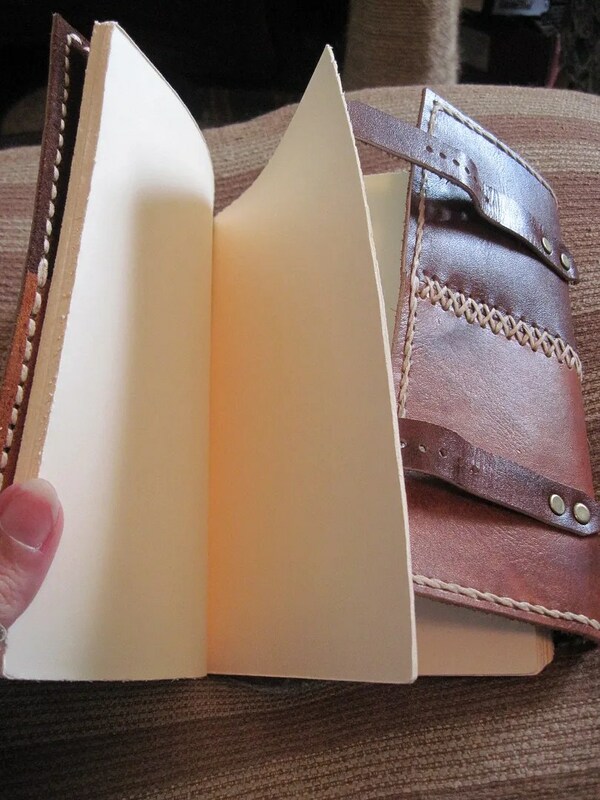 It’s perfect, it’s gorgeous, and I can’t wait to fill it. 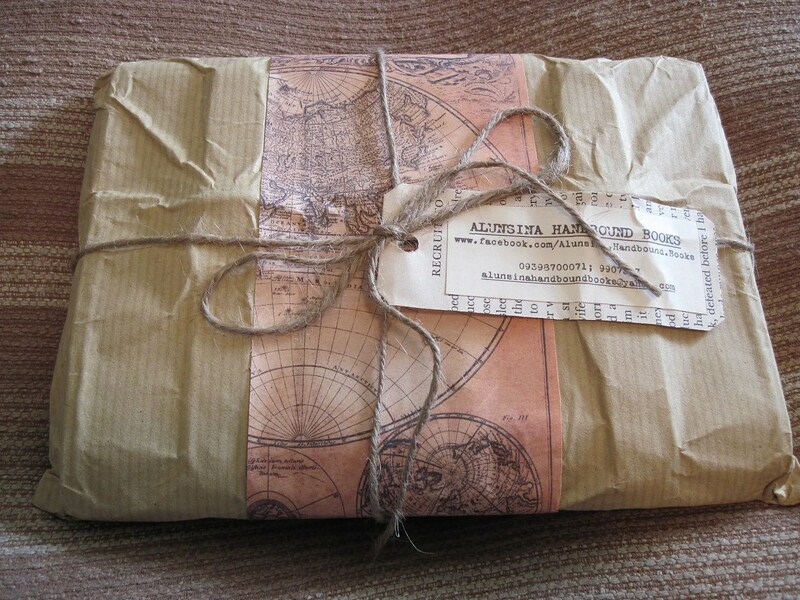 I’ve already decided that the wrappings and Nadja’s letter will be permanent additions. 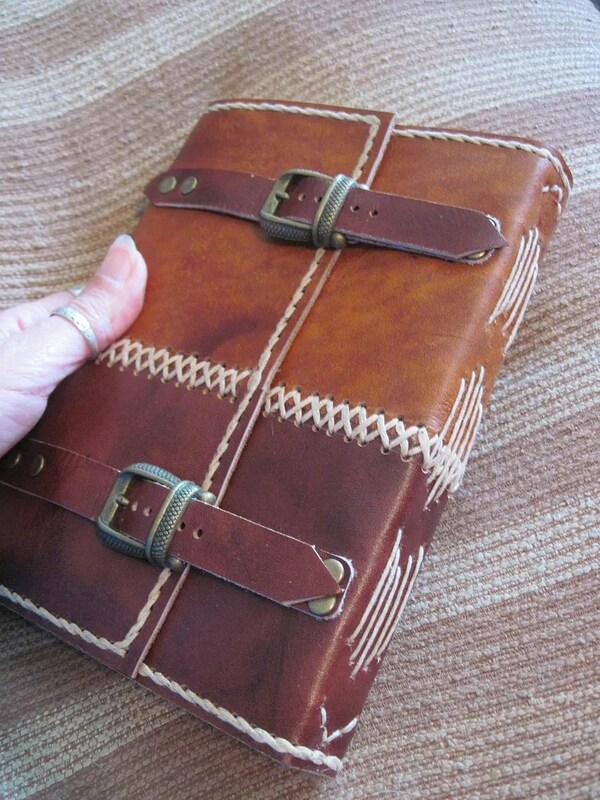 I’ll also begin writing in it, long before it’s time for my travels. Things like my plans and hopes for the trip, and as things get finalized, my itinerary. The first thing I’m going to look for is a few perfect lines of poetry for the first page. 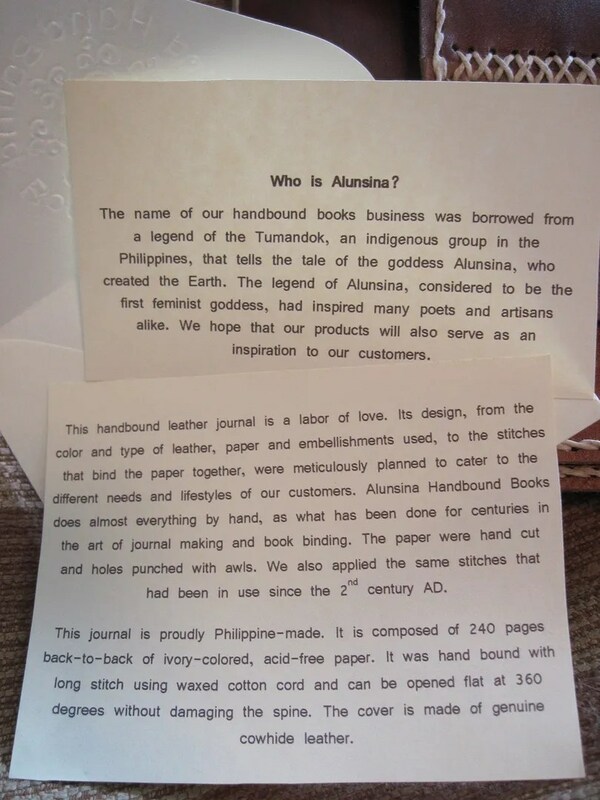 If you’d like an Alunsina journal of your own, you can find their Etsy shop here, as well as many more styles of journals on their facebook page. Thank you Nadja and Enan! 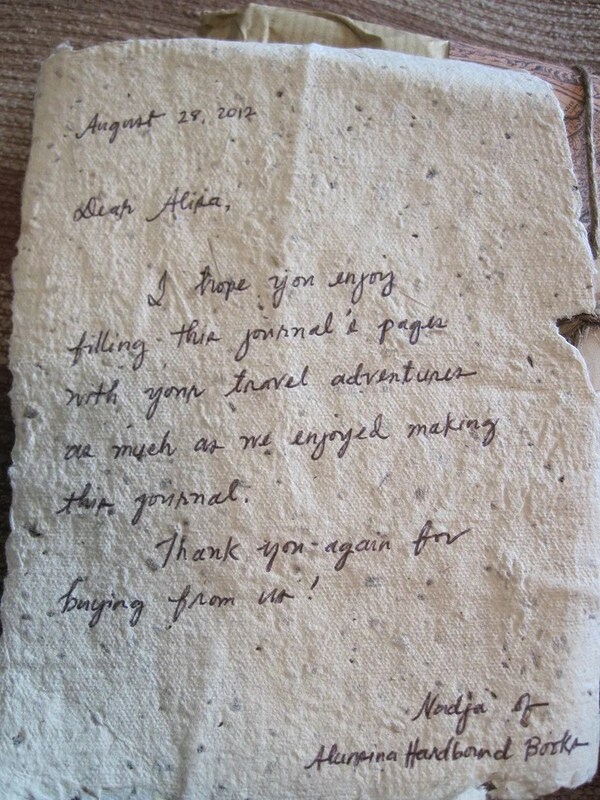 This entry was posted in Art, books, travel and tagged 42, alunsina, journal, travel. Bookmark the permalink.